“Butter and honey shall he eat, that he may know to refuse the evil, and choose the good” (Isaiah 7:15 KJV). When the Lord is your Shepherd, He feeds you with spiritual food that enlightens the eyes and opens the senses. He causes you to know what is good and acceptable, contrasted with what is evil and rejected. And then you won’t follow the voice of strangers, like Paula White, who follows her own inclinations and serves mammon. Draw near to Adonai and He will draw near to you! We haven’t forgotten Paula White. The introduction at the False Teachers Exposed page explains why. Have you learned to discern truth from error in Christ, Cindee? Why do you use Hebrew Names for God? Rather than focusing on the crumb you think we’re missing on our site, you should consider the banquet you’re missing. But if you don’t believe and are satisfied with men’s false doctrines, you certainly won’t have an appetite for the truth. “The full soul despises a honeycomb; but to the hungry soul every bitter thing is sweet” (Proverbs 27:7 MKJV). Thanks for emailing back and Adonai bless your ministry. Regarding Paula White and her ways: “No one can serve two masters. For either he will hate the one and love the other, or else he will hold to the one and despise the other. You cannot serve God and mammon” (Matthew 6:24 MKJV). Whatever her relationship was to Benny Hinn when they were photographed holding hands in Rome, no teacher of God calls that charlatan “Pastor Benny,” as White does. The bird is known by those she flocks with: False Teacher – Benny Hinn: A Deliberate Liar and Scoundrel. And God calls no woman to a ministry of teaching men: “But I do not allow a woman to teach, or to exercise authority over a man, but to be in silence” (1 Timothy 2:12 MKJV). “I have come in My Father’s Name, and you do not receive Me. If another shall come in his own name, him you will receive. How can you believe, you who receive honor from one another and do not seek the honor that comes from God only?” (John 5:43-44 MKJV). There’s no need for despair there, but you do need the Heavenly view of Yeshua HaMashiach, the Lord Jesus Christ, to have genuine hope of better things. Physical death certainly isn’t your answer, but the true knowledge of Him is. You’ve been following a false gospel and notion of Christ that has you praying for your family “all the time,” clinging to the flesh rather than to Him, the Spirit of God. You can’t have your foot planted in two places at the same time, serving two masters. You are either in the world with worldly family or with the Lord’s Kingdom without your worldly family. You cannot serve God and mammon. It’s not true that you love the Lord God with all your mind, heart, soul, and strength as He would have it, but only as you see it, which falls far short of Him. When you follow Him and His ways, then you’ll find the peaceable solution for your soul, and no man will take away your rejoicing in Him. Read Choose This Day Between Family and God. Believe Him and His Words, and you’ll prosper in your obedience and faith. The Lord Jesus Christ is no liar and fails none who come to Him and cleave to Him. Failure is the hallmark of false gods, not the True One. Thank you so much for your kindness in responding to my email. It is a blessing to me! At this year’s Woman Thou Art Loosed, Pastor Paula White introduced her biological son Bradley to thousands of women at Philips Arena in Atlanta, GA. She shared his testimony of how he went from being a victim of sexual abuse by another man, addicted to drugs, and a self-proclaimed atheist, to a powerful preacher and intercessor. The co-founder of Without Walls International Church, who is now pastor of New Destiny Christian Center in Apopka, FL would anoint Bradley’s clothes, stitch prayer cloths into his jeans and lay them in his shoes without his knowledge–whatever it took to break what his mother believed was the curse of Satan over his life. Though the young man didn’t make a turnaround overnight, eventually, Bradley submitted his heart to Jesus Christ. 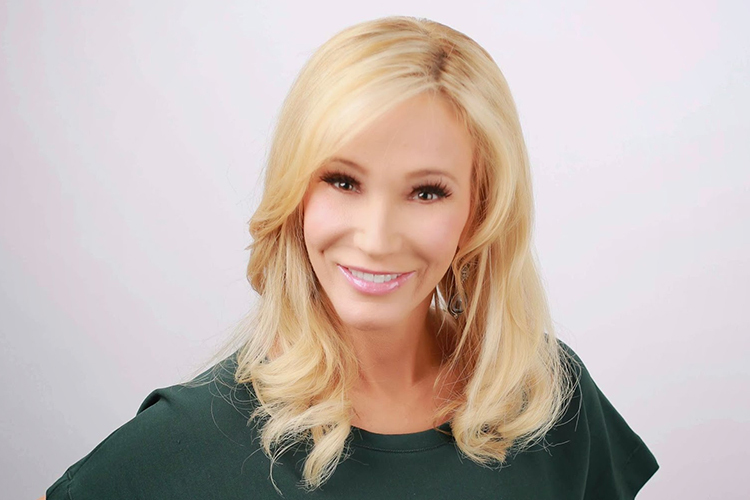 At Woman Thou Art Loosed, an ecstatic Paula White rejoiced as her son prayed over the women attendees, prophesied, and stood as an example of the life shift the power of God was responsible for setting in motion. Upon hearing the testimony and witnessing Bradley’s live prayer and exhortation, thousands of women shouted, cried, and praised God. White, who was one of the three main female speakers, declared that they were taking families back out of the grip of the enemy. This is a testimony of “Christian” voodoo, if White truly did the things reported here. The message she gives is that if you pray long enough and hard enough, even going so far as planting your prayers physically on the object of your heart’s desire, you’ll get what you pray for. It doesn’t matter what God is doing or what He wills. Your will prevails, if you exercise it enough to convince Him to do what you want, or you simply bypass the Lord and accomplish it yourself, overthrowing the “enemy” that stands in your way. Was this approach of Abraham with Ishmael, or the outcome? “And Abraham said to God, Oh that Ishmael might live before You! And God said… as for Ishmael, I have heard you. Behold, I have blessed him, and will make him fruitful, and will multiply him exceedingly. He shall father twelve chiefs, and I will make him a great nation. But I will establish My covenant with Isaac, whom Sarah shall bear to you at this set time in the next year” (Genesis 17:18-21 MKJV). Abraham ended up having to send Ishmael away. Abraham took up his cross and submitted to the will of God, but that’s not what White teaches. God’s will doesn’t even enter into her equation. (33) And Isaac trembled with a great trembling, and said, Who then was the one who has hunted deer and brought to me, and I have eaten of all before you came, and have blessed him? Yea, he shall be blessed! (34) And when Esau heard the voice of his father, he cried with a great and exceeding bitter cry, and said to his father, Bless me, me also, O my father! (35) And he said, Your brother came with deceit, and has taken away your blessing. What do the Scriptures say about God’s election in this matter, which principle applies to all? (8) That is, not the children of the flesh are children of God; but the children of the promise are counted for a seed. White teaches the opposite of God, that it is of the one willing. Her stance is altogether anti-Christ, displacing God’s will with man’s. Her prayers of self-will resulted in her son being converted to “another Jesus,” serving the will of his mother and man. These people and those who cheered them on have nothing to do with the True Lord Jesus Christ. They all need to repent, and they will, in His timing. They will hear the Word of Truth and it will not return to God void. What is White’s message that appeals to President Trump and many others? Is it the Gospel of Christ? No. It’s Paula’s own stylized version of “the power of positive thinking,” something the President grew up with attending the church of Norman Vincent Peale, who literally and figuratively “wrote the book” on this subject. The positive thinking of man caters to his own will and understanding, whereas the positive thinking of faith centers on the will of God – putting one’s trust in His goodness and wisdom. This is called “taking up the cross,” because putting your trust in Him means dying to your desires and the plans derived from them. “Trust in the LORD with all your heart, and do not lean on your own understanding. In all your ways acknowledge Him, and He will make straight your paths” (Proverbs 3:5-6 ESV). “If anyone comes to Me and does not hate his father and mother and wife and children and brothers and sisters, yes, and his own life also, he cannot be My disciple. And whoever does not bear his cross and come after Me, he cannot be My disciple” (Luke 14:26-27 MKJV). (21) From that time Jesus began to show His disciples that He must go to Jerusalem and suffer many things from the elders and chief priests and scribes, and be killed, and on the third day be raised. Paula White savors the things of man. She may teach some good principles, but as a presumed preacher of the Gospel of Christ, she lacks the One Principal Thing, His Cross. As with other false teachers, she hasn’t known or taken up the cross and therefore doesn’t preach it. Without the cross, there is no access to the Kingdom of God. “For whosoever will save his life shall lose it; but whosoever shall lose his life for My sake and the Gospel’s, the same shall save it” (Mark 8:35 KJV). If White were to take up and preach the cross, she would lose her followers and standing in this world. Her power of positive thinking would be dispelled, yet replaced by the far greater Resurrection Life of Jesus Christ. “…always bearing about the dying of the Lord Jesus in the body, so that the life of Jesus also might be revealed in our body. For we who live are always being delivered to death for Jesus’ sake, so that the life of Jesus might also be revealed in our body” (2 Corinthians 4:10-11 MKJV). “But if I, brothers, still preach circumcision, why am I still being persecuted? In that case the offense of the cross has been removed” (Galatians 5:11 ESV). The reason White believes President Trump isn’t just Christian in name is because she’s not a Biblical Christian herself. They’re on the same page with regards to positive thinking, except President Trump doesn’t appear to presume that such is the salvation of God. You don’t see him presenting or promoting the unholy mixture preached by White, and we hope he isn’t succumbing to her ways but rather is keeping a positive outlook and commitment to the agenda he pronounced at the beginning of his presidency. Far better to be a non-believer given a position by God to do good than to pretend to be a believer doing good in a position not given by God. Donald Trump is the President of the United States, whereas Paula White isn’t a pastor or minister of Jesus Christ. She may be a nice lady and an inspiring speaker, but she hasn’t been raised up by God to lead men and women into a saving relationship with Jesus Christ. President Trump isn’t a Biblical Christian, but he also isn’t a believer in Allah like the United State’s previous President. God has given America a chance to honestly face some of its issues and damages done in ungodliness. So far, much of America chooses rebellion and ungodliness, provoking a civil war. The shakeout that’s begun will continue until everything is laid bare and the only Hope and Answer for mankind prevails. “Every valley shall be filled, and every mountain and hill shall be brought low, and the crooked shall be straight, and the rough ways shall be made smooth. And all flesh shall see the salvation of God.” (Luke 3:5-6 MKJV). Mankind will learn: “I can do all things through Christ Who strengthens me” (Philippians 4:13 MKJV). The will of God, which is negative to man’s natural selfish inclinations, will be seen and realized to be the most positive thing possible for his spirit, soul, and life on earth.